Comedy Central brings you the funniest stuff on the planet. Watch hit shows like Workaholics, Tosh.0, The Daily Show with Jon Stewart, The Colbert Report, Key & Peele, @midnight and Broad City, plus cutting-edge stand-up comedy you won't find anywhere else. 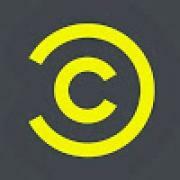 Head to CC.com for full episodes, exclusives, previews and more. The Best of Nick Swardson’s Terry - RENO 911!